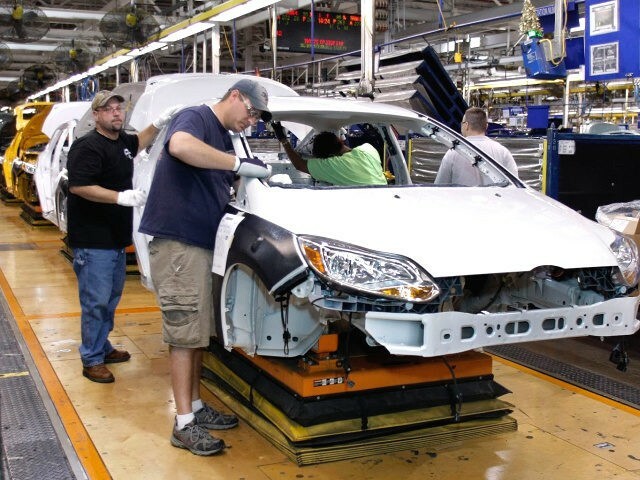 The United Auto Workers (UAW) union praised the announcement by Ford, calling it a “testament to the quality and hard work” of Ford’s union workers. “Every day UAW Ford members head to work, proud of the products they build and the craftsmanship required in vehicles like the Explorer, Aviator and Police Interceptor,” Vice President of the UAW Ford Department Rory Gamble said in a statement. “Ford’s investment announcement demonstrates a commitment to the dedication of UAW members in Chicago,” Gamble said. While Ford increases American production for its Ford Explorer and Lincoln Aviator, General Motors (GM) has been laying off thousands of American workers in an effort to shift production to Mexico and China, where the multinational corporation will manufacture electric vehicles. This year, GM is stopping production at four American plants, including Detroit-Hamtramck and Warren Transmission in Michigan, Lordstown Assembly in Ohio, and Baltimore Operations in Maryland. This is resulting in the layoff of at least 14,700 GM workers and 4,000 American white-collar workers with the company.